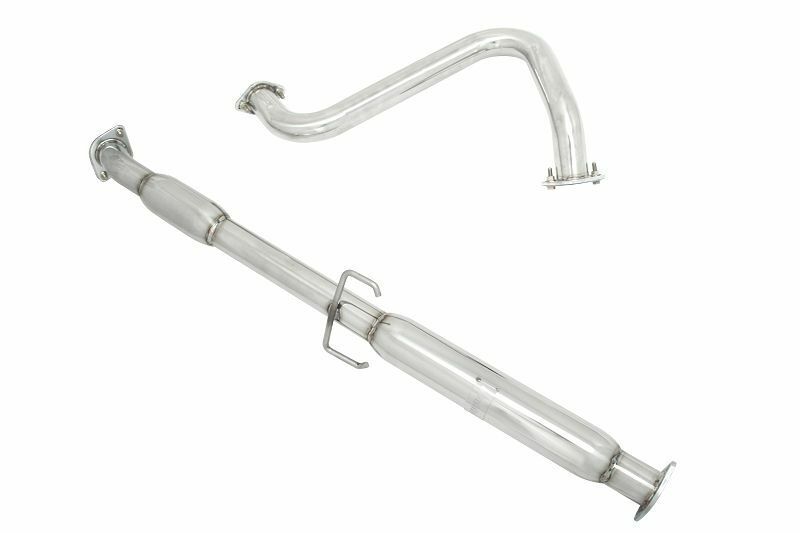 Have you installed an axle back exhaust system and now want to make that into a full cat back exhaust? Look no further than the Megan Racing mid pipe. Our mid section pipes are specially made to work with axle back exhaust systems to create a complete cat back exhaust system. Additionally installation of this upgrade allows the exhaust gasses to flow more freely and gain more horsepower and torque. Our mid pipes are made with 100% stainless steel and are a direct-fit to OEM axel back section. Finally each Megan Racing mid pipe is fully polished and is resistant to corrosion. In conclusion installing a Megan Racing mid pipe along with axle back exhaust you will notice quite an improvement. In other words you are going to enjoy driving your car after this is installed! Driven By Style has been a Megan Racing authorized dealer for over 10 years now. This means our staff has the knowledge and experience to answer just about any question you may have. Additionally we guarantee the lowest price on Megan Racing products. Therefore any time you order a Megan Racing mid pipe you will be getting great service and an affordable price.